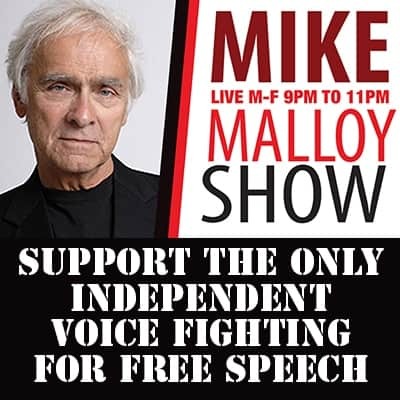 National Emergency - Mike Malloy Radio Show : Progressive Radio : Online Video Streaming : The Best In Nighttime Liberal Talk! M-F 9pm-12am. | Mike Malloy Radio Show : Progressive Radio : Online Video Streaming : The Best In Nighttime Liberal Talk! M-F 9pm-12am. Donald Trump threatens to declare a national emergency over nothing and again dominates every news cycle. Even losing the Congressional battle over wall funding, he wins. Eclipsing coverage of actual national emergencies, like gun violence. The Parkland mass shooting that claimed the lives of 14 kids and 3 teachers occurred one year ago today, and still Congress hasn’t passed a single law to prevent another tragedy. Banning bump stocks won’t do it. Banning military assault rifles might. Universal background checks would be a good start. The House is voting on a bill that would do just that, but will doubtlessly fail in the Senate. The NRA has managed to stave off meaningful gun laws for decades. Perhaps if/when it’s revealed that it was laundering money for Russia to influence our elections, maybe then it will lose the rock solid grip it has on Neocon legislators. Hug your kids, tell them you love them every day. At Molly’s high school fire alarms have been replaced by active shooter drills and lockdown simulations. This is how we live, in fear for our children’s lives every day, as Congress ignores the biggest national public health crisis out of fear of upsetting their wealthy masters. Every time we get a call or text from her school our heart stops a beat, waiting for that ultimate horror. No parent should have to feel this, no child should have to wonder if the alarm sounding is drill or an actual armed killer in the halls. Other western nations look to us and wonder, how can a nation like ours allow our children to be hunted like rabbits in their own classrooms. How we can value weapons more than our own kids.